Some weeks are more productive than others, and this has been one of those weeks. Well, actually a couple of weeks. 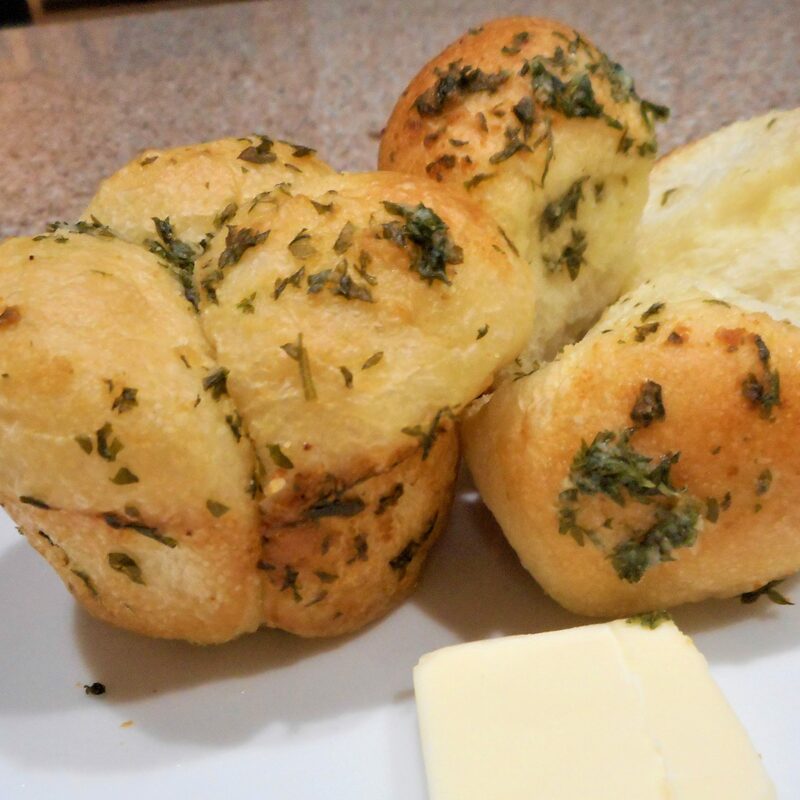 Let me share some new recipes with you. I recently acquired a new toy, a 3 quart electric pressure cooker, so of course I had to experiment, a LOT! 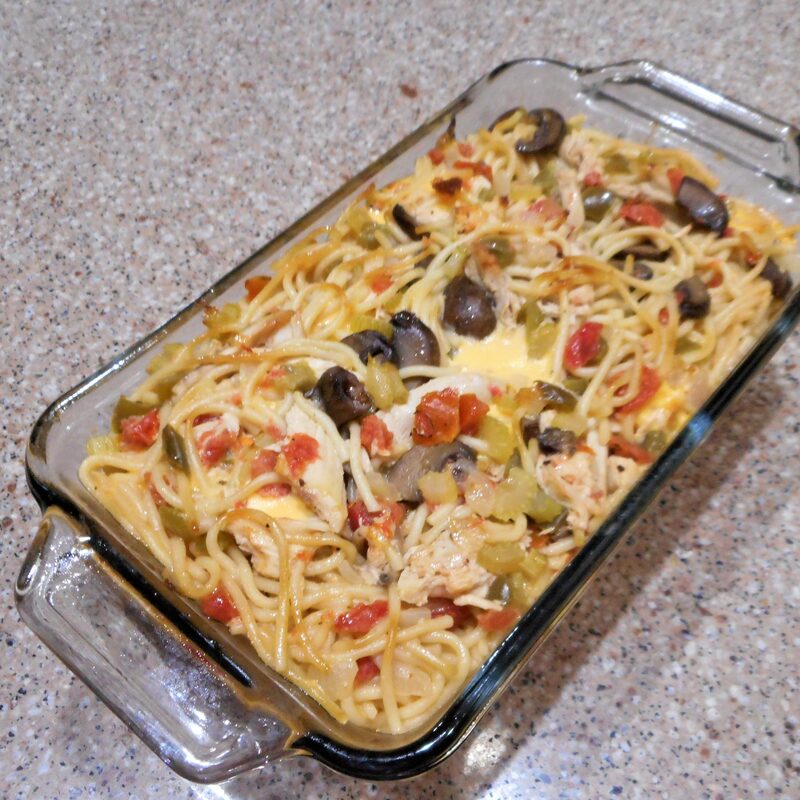 One of the first dishes I made was Chicken Chile Spaghetti. Just a bit creamy and just a bit spicy, this recipe makes quite a large casserole. The recipe is designed to fill a 9×13 baking dish, but since there are just the two of us I split it into three loaf pans. There I go, loading that freezer up again. Next up was a pot of Cuban Pork Tenderloin. A half cup of orange juice, along with a few other spices, adds a subtle twist of flavor to the pork, rice, and beans. This recipe, like many other pressure cooker recipes, could be prepared on the stove, but it would take hours to tenderize the pork. 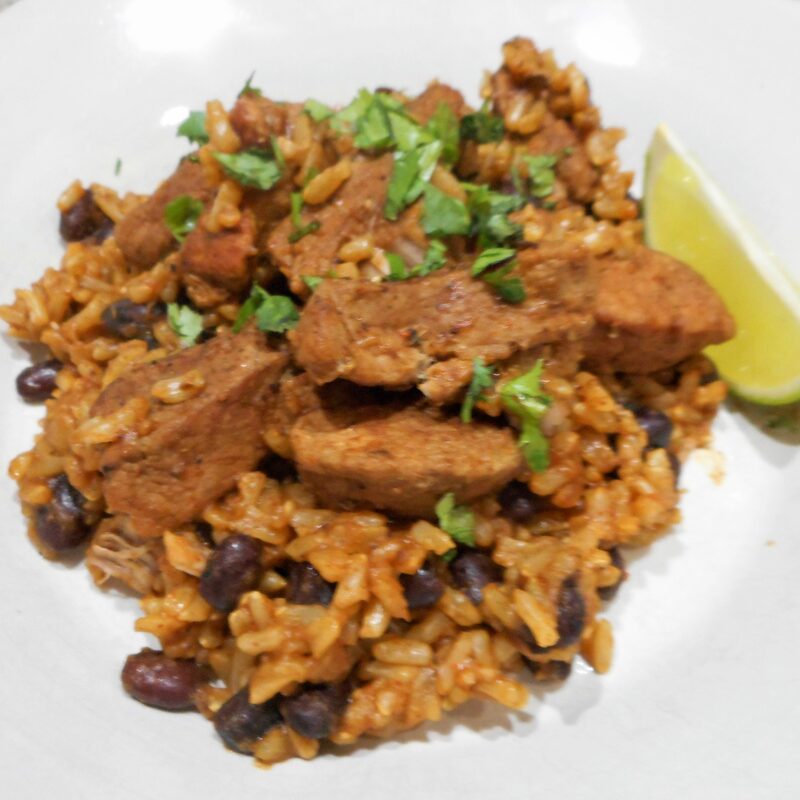 By using the pressure cooker the pork is fork tender in half an hour and the rice and beans maintain their integrity. Not everything was cooked in that pressure cooker, thank goodness. 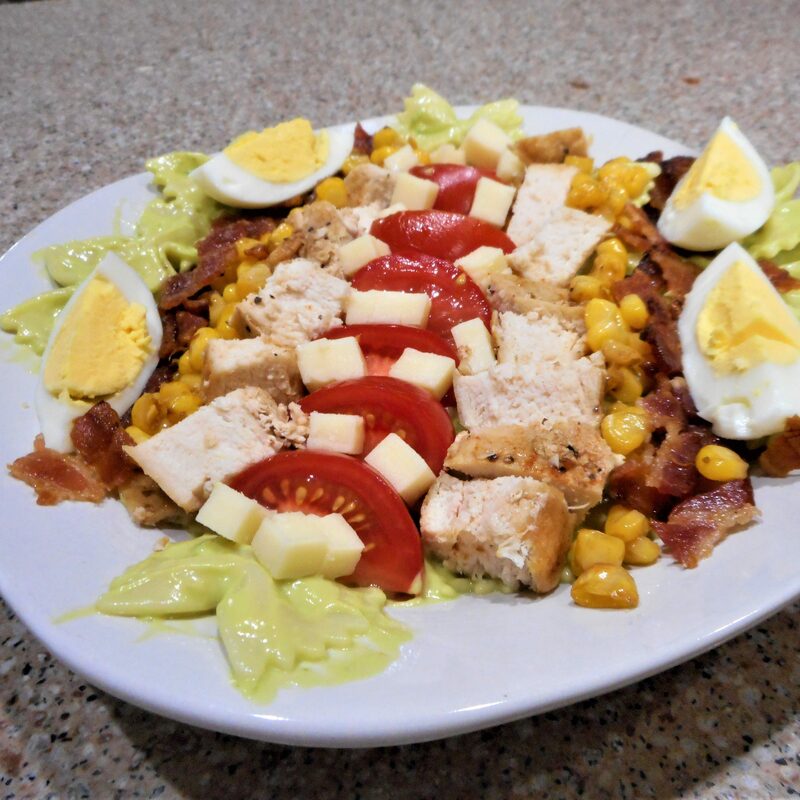 On the lighter side we enjoyed an Avocado Cobb Pasta Salad, inspired by The Food Network. Michael doesn’t care for most pasta salads, but this one seemed to please him. I think the combination of the unusual avocado dressing and the rows of toppings rather than a mixed up bowl of ingredients drew his interest. Perhaps this arrangement of components would satisfy picky eaters, too. 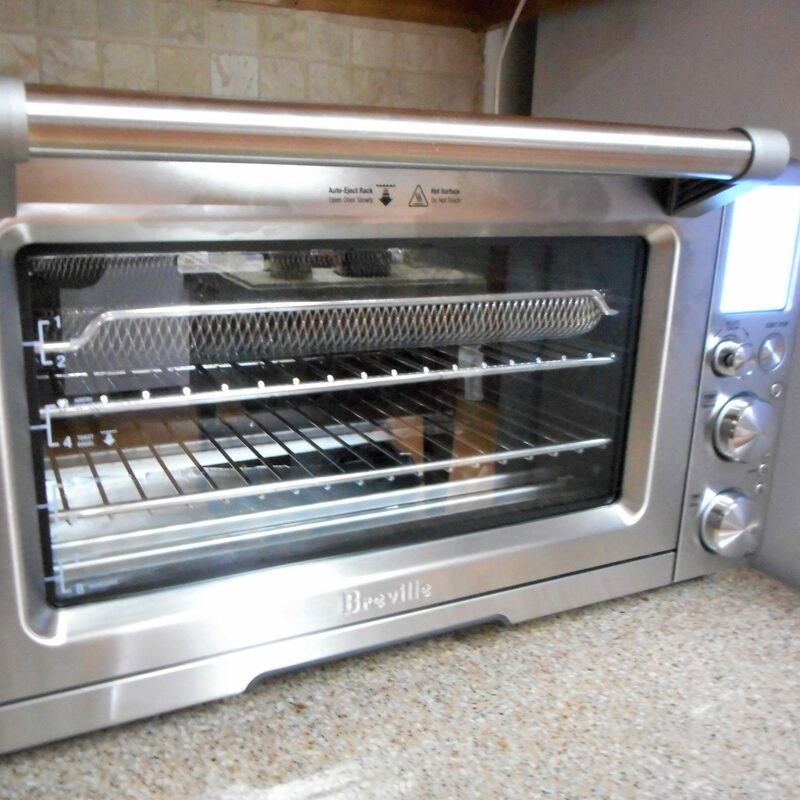 It would be a simple thing to avoid unwanted items. 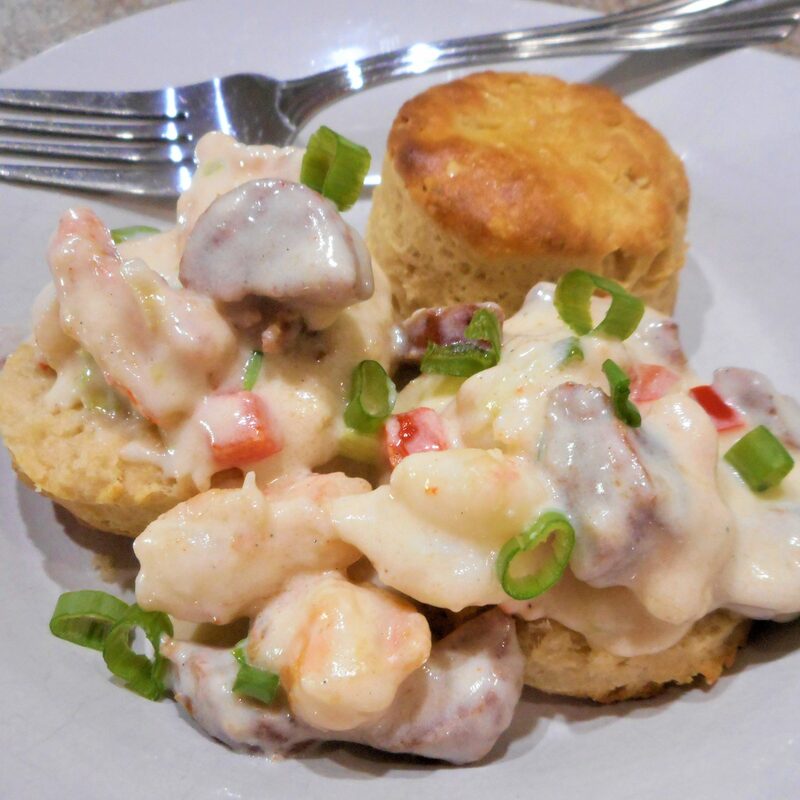 My favorite dinner of late was Creole Shrimp and Sausage Gravy Over Biscuits. I’m pretty proud of this one. If Shrimp and Grits married Sausage Gravy this would be their baby. Andouilli sausage lends a Creole tang, while a touch of heavy cream balances the shrimp stock flavored sauce. I served this creamy creation over my White Wheat Biscuits, but bake-and-serve frozen biscuits would work as well. We’re in a break of the local fresh fruit season. The strawberries are gone and it’s too early for peaches or blueberries. 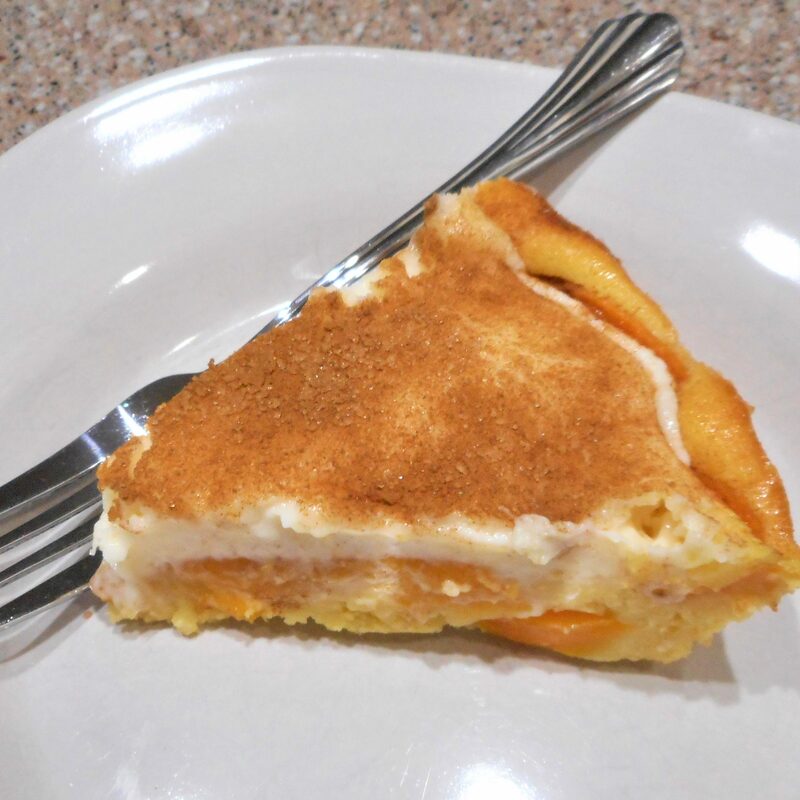 I don’t usually care for canned fruit, but Peaches and Cream Pie is an exception. The recipe can be found in many church and ladies’ club cookbooks, so that tells you something. 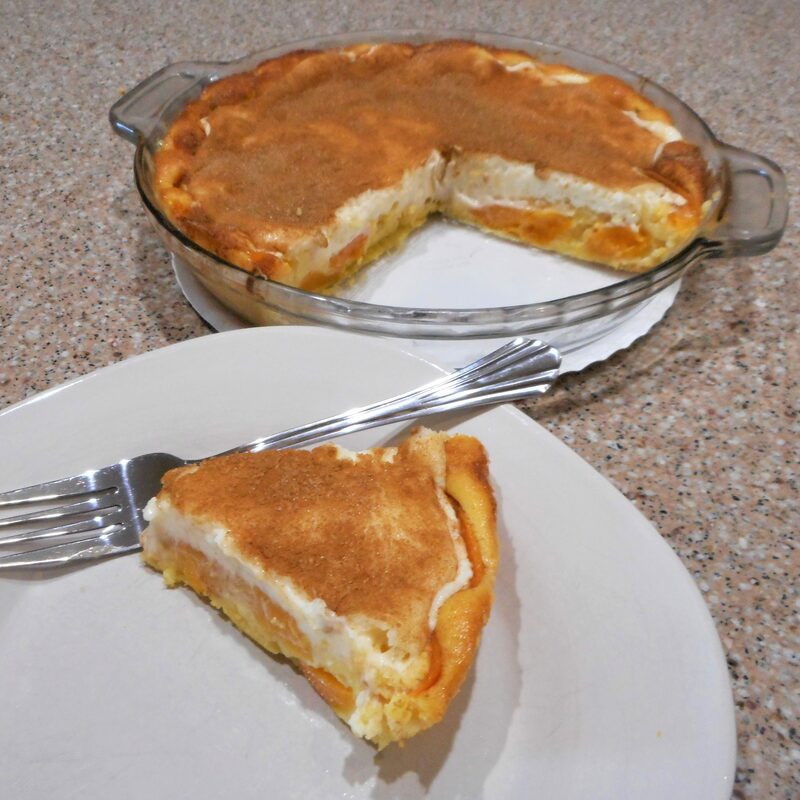 The pie makes its’ own gooey crust and the peaches are topped with a cinnamon sugar cheesecake type layer. The only thing that’s hard about this pie is waiting for it to chill. If you jump the gun and try to slice it sooner, you’ll have a mess on your hands (or your plate) ! This entry was posted in Uncategorized on June 9, 2018 by lizziesmom2012.